Hide this Project (Veena Serenity) Discover properties in other projects by hiding the ones that doesn't interest you. You won't see them in your searches further but you can unhide anytime later. Hide this Dealer (Sai kripa real estate agency)Discover properties by other dealers by hiding those whom you have already spoken to. You won't see them in your searches further but you can unhide anytime later. Hide this Dealer (Sarvam Properties)Discover properties by other dealers by hiding those whom you have already spoken to. You won't see them in your searches further but you can unhide anytime later. Veena Serenity is a residential property in the heart of Mumbai. It?s just off the Eastern Express Highway and other important conveniences such as Hospitals, Educational Institutes, Entertainments & Shopping Center and Leisure Center giving a whole new definition to easy accessibility. It enjoys the abundant amenities such as the Clubhouse and the Gymnasium, Landscaped areas a space that soothes your mind and takes you away from the hustle-bustle of the city. And Make your dream homes your own life. An option of 1BHK, 2BHK and 3BHK Luxurious Apartments. Chembur has a number of renowned schools, hospitals, and banks are in the vicinity. There are a various MNCs and IT hubs are functioning here making it an attractive option for the working population. Where is Veena Serenity located? 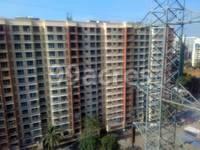 The project is located in Chembur, Mumbai Harbour. What is available flat size in Veena Serenity? Flat sizes in the project range from 413.0 sqft to 934.0 sqft. 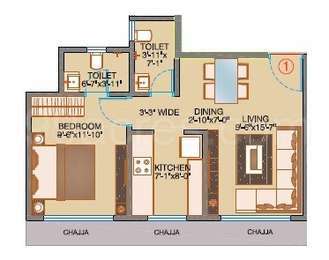 What is the area of 2 bhk in Veena Serenity? The size of a 2BHK unit in the project ranges from 557.0 sqft to 934.0 sqft. 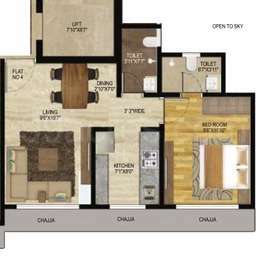 What is the area of 3 bhk in Veena Serenity? Three-room units (3BHK) in the project are available in an area of 750.0 sqft to 781.0 sqft. How much is the total size of Veena Serenity?The project is spread over an area of 0.75 Acres. ?To be one of the most preferred Real Estate Brand create landmarks in various asset classes across multiple locations.? ?To be the most preferred Brand through all business initiatives that prioritizes customers society?s causes upfront, and consistently follows the most ethical business practices.?
. We are committed to taking this philosophy all along while making any business decision- It?s the foundation and cornerstone of all our initiatives.? ?Incorporated in 1990, the group has came a long way in delivering projects with a cumulative development amounting to around 3.5 mn sq.ft. in various asset classes like residential, commercial and industrial. Our constant endeavor is to provide quality construction to customers and offer amenities for greater convenience and luxury to our customers. Our expertise is acquired through many years of experience in executing projects if varied scales, and adds tremendous value to the brand value of ?VEENA DEVELOEPRS?, that has been consistently recognized for its honesty, integrity and transparency during the entire cycle of the project. It?s been these values that has helped us garner excellent responses during opening of any of our projects. Our projects are at strategic locations and span across key residential and commercial clusters such as Borivali, Kandivali, Juhu, Chembur, Ghatkopar, Versova Vasai. Our commitment and integrity resonates through our team of employees and associates who world closely to make your dreams come true?